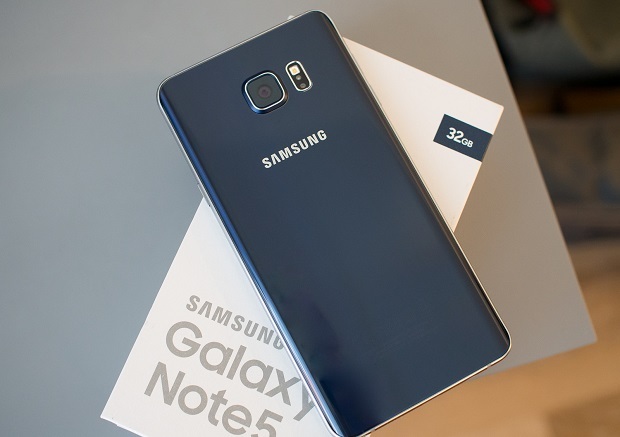 One of the best models in the Note series of devices to hit the market is the #Samsung #Galaxy #Note5. This phone which was released in 2015 is still the latest model in this series which you can get today. Although it can’t compete in terms of performance when compared to the latest flagship releases this particular model can still provide the consumer with a great user experience. A lot of people are using this phone right now as their daily driver and haven’t had much issues with the device. There are however instances when certain problems can occur which we will be addressing today. In this latest installment of our troubleshooting series we will tackle the Galaxy Note 5 battery drains very fast issue & other related problems. Problem: The battery drain very fast. I have tried hard reset, clearing cache uninstall infrequent use apps. The battery level drop 20% when I am on the way to office, approximately 45 mins route. During the journey, I only check messages on facebook and web browsing. I also discover that, the battery level will shows 5% less when you turn off your phone and charge. Solution: The first thing that you need to do in this case is to check if an app you installed in your phone is causing the problem. To do this you need to start your phone in Safe Mode. When the phone operates in this mode only the pre-installed apps are allowed to run while downloaded apps are prevented from running. Does the problem still occur in this mode? If it doesn’t then it could be caused by an app you downloaded that is aggressively running in the background. Find out what app this is and uninstall it. If the problem still occurs even in Safe Mode then you will need to proceed by doing a factory reset. Make sure to backup your phone data before doing the reset. Once the reset is complete do not install any apps in your phone yet. Should the above steps fail to fix the problem then you will need to bring your phone to a service center and have it checked as it is possible that the battery of your phone is already failing. Solution: If you have already tried different charging cords on the phone and the issue remains then the problem lies with the charging port. I recommend that you have the port checked at a service center. It’s possible that the whole charging port assembly will have to be replaced if it is found to be deformed. Solution: What you will want to do first in this case is to make sure that the charger is not causing this problem by following the troubleshooting steps listed below. Try charging your phone using a different wall charger. Check if the phone charges from a computer USB port. If it charges this way then one of the pins of the charging port is faulty. Have this checked at a service center. In case the phone will charge but will not turn on then what you should do next is to start the phone in recovery mode then do a factory reset. Take note that this will erase your phone data. Should the above steps fail to fix the problem then you will need to bring your phone to a service center and have it checked. Solution: Did you setup the Android DEvice Manager to work with your phone? If you have then you can use this to access your device. You can also use Samsung’s Find My Mobile solution to gain access to your phone. This works if you have setup a Samsung account. Finally, if the above steps fail then you should consider doing a factory reset from the recovery mode. Take note that the reset will erase your phone data. Solution: If you are sure that the Google account you have entered is the correct one then try wiping the cache partition of the phone from the recovery mode then check if you can now enter the Google account. If not, try resetting the Google account password from a computer browser then use this new password on the phone. Solution: For this particular problem you will need to simulate a battery pull by pressing and holding both the power and volume down buttons for at least 10 seconds. Your phone should restart after this. Once the phone restarts you can then proceed to access the recovery mode and do the factory reset. Problem: Hey Team. i had tried the factory data reset even cleaning the apps cache data. I had tried the recovery cache cleaning and with that i had master reset the phone still my galaxy note 5 duos is facing touchwiz UI is not responding. Now stuck in that and the only solution left for me to flash the ROM via odin. Kindly help by providing your valuable solutions. Solution: For this particular problem since you already performed a factory reset which doesn’t fix the problem then you should consider flashing the phone with its updated stock firmware file. Solution: The best thing that you can do right now is to backup your phone data then do a factory reset from the recovery mode. If the issue still occurs after this then you will need to bring the phone to a service center and have it checked as this could already be a hardware related issue. Battery drains quickly after reaching below 16%…with in 5 minutes turns off…what to do??? My voice cannot heard when I’m calling, but when I put it on loud speaker they can hear me. What seems to be the problem?